I lost one of my very best friends at 12:34am this morning. He went peacefully, completely surrounded by 12 members of his family. We held his hands, stroked his head, and hugged him as he went to be with his own mom, whom he hadn’t seen in 68 years. While it hurts us like hell to be like here without him, we are very comforted to know that he has no more pain. My worst nightmare and it’s really happening. God, I hope you exist and I desperately hope there really is a heaven. Thank you so much to everyone who has left me kind messages on here, Twitter, Facebook, voice mail, text message. I want to answer all of you individually, but I just can’t think right now. I can’t believe this is happening. I thought we had more time. This is Grandpa doing a reading at our wedding. Ever since I was a little girl, I knew that I wanted my Grandpa to do this reading when I got married. I cried from my seat as I listened to him read it. 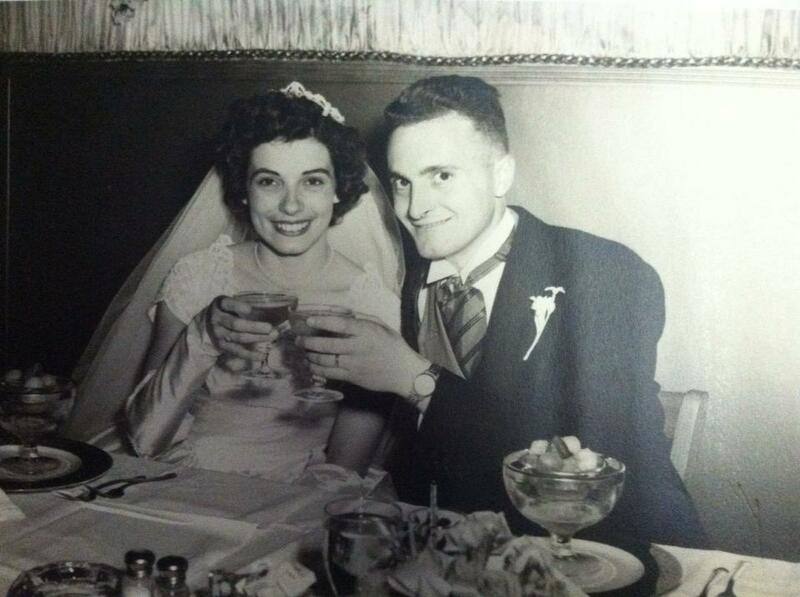 Rosie and Louie at their wedding 58 years ago, on June 4, 1955. 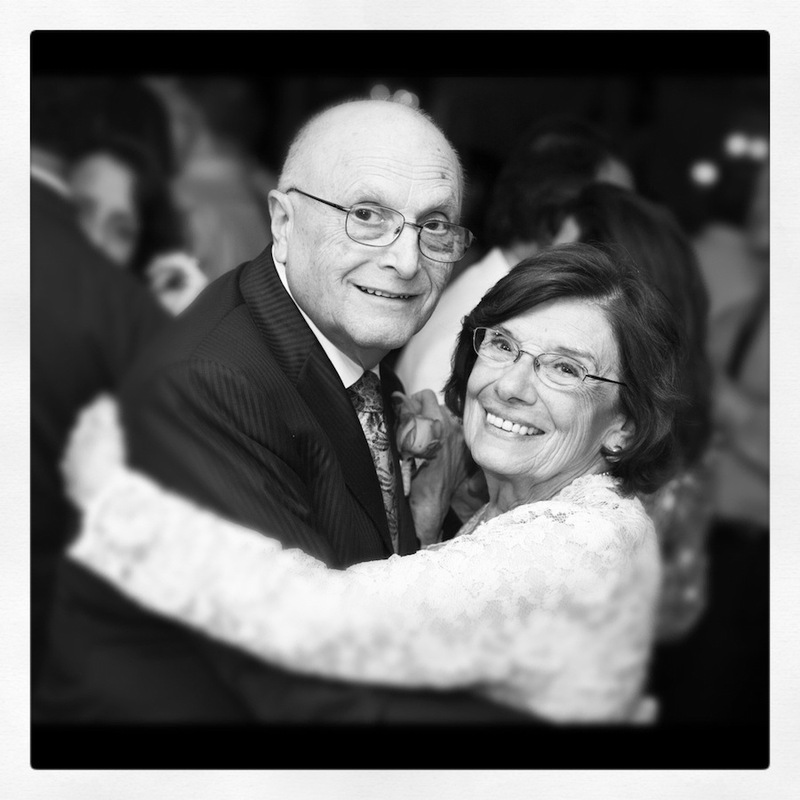 Rosie and Louie, 56 years later, on Jay and my wedding day. Goodbye, Grandpa. You and Grandma did a great job. I love you more. I’m positive.